Good or Evil is not an Either/Or situation. It is a spectrum of desire and behavior, a continuum ranging from kind to cruel, caring to exploitive, light to dark. These relationships hold true whether the personality is in a body, out of body, coming from the subconscious, or over the phone as sales pitch. Kind, wise, and wisely kind Trustworthy. Feeding each other. Creative. "Give, not get "
Appreciating and building on the good in self and others. Graciousness and gentleness. Rejoicing in joys, growth, and progress of others. Decent, sensible, self-controlled, patient, kind. 0 Ahimsa. Harmless, neutral. Neither doing harm nor desiring to do harm. Blaming, scapegoating, manipulating others for personal gain, appetite "Get, not give "
The practice of evaluating source is "discernment." The practice of choosing source or position is "tuning." Key is attitude toward others. Observe thoughts and desires throughout the day, whether acted on or not Where do they fit on the spiritual spectrum? An internal visualization with uke testing or in groups of three, acted out by nage and two ukes. 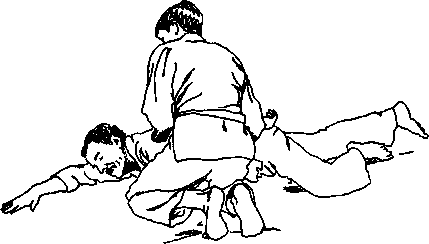 With Unbendable Arm or in seiza, nage imagine being jumped by a knife-wielding attacker, applying an Aikido technique, taking control of the knife, and bringing the attacker to the ground in a gentle but effective hold-down. Uke test. Enact the same scene, but after taking control of the knife, imagine stabbing and killing the attacker. Uke test. This is genuinely necessary to protect another1. The moment of victory is too short to live for that and nothing else. 1. See Dobson's "A Kind Word Tumeth Away Wrath" in Heckler (1985) for an example of an apparent desire to protect. But what was it really?